What Is Redundant Link between Switches? We know that if any chain in the network fails, the operation may break down. Facing this problem, we’ve introduced the stackable switches and together with it is the concept of redundant links. When stacking switches, except the shortest link between switch and the main frame computer, we also prepare other links in case of the break down of the major link. The other links are redundant links between switches. In order to maintain the stability of the network, composed of multiple switches, some backup connections are usually used to improve the robustness and stability of the network. The backup connection here is also called a backup link or a redundant link. Redundant links in a switches are accomplished through the use of multiple switches or multiple links between switches. In an enterprise network, a link is redundant if its presence or absence does not affect the nature of the mechanism. That is, even if we remove that link, the mechanism will behave in the same manner. The redundancy in networks can improve its reliability. Our intention is that if one device fails, another can automatically take over. By adding a little bit of complexity, we try to reduce the probability that a failure in switch will take the whole network down. Spanning Tree Protocol,the redundancy protocols, can be implemented on any topology or mesh. The Cellular Redundancy provides alternative to running a physical line for redundancy. In addition, with Parallel Redundancy Protocol, we can achieve zero packet loss, “0ms” recovery. And it can be added to any existing network. But you cannot have both complexity and reliability at the same time. The more complex something is, the harder it is to maintain, the greater the chance of human error, and the greater the chance of a software bug causing a new failure mode. The switches between the backup links are often connected to each other to form a loop. The loops can be redundant to a certain extent. The redundant backup of the links can bring robustness, stability and reliability to the network. However, the backup link also causes loops in the network. The loop problem is the most serious problem faced by the backup link. The loop between the switches will cause new network problems: broadcast storm, loops and duplicate frames. To make fully use of redundant links, we can minimize the complexity. Select two identical switches as the core switches. 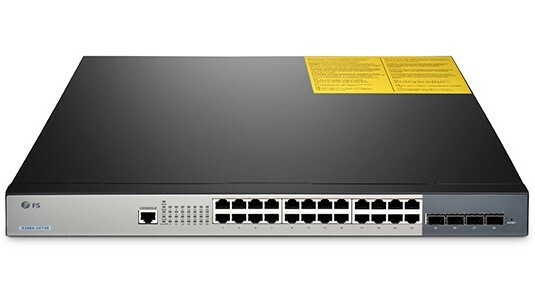 If you need gigabit Ethernet switch, for example, you can select two 10 gbe switches that run the same software and have the same connections. We can also introduce the Spanning Tree Protocol (STP) which was developed as a Layer 2 loop-avoidance mechanism for redundant links in a switched network. With STP, there will be only one logical path between all destinations on the network and redundant links that could cause a loop are intentionally blocked. Redundant links are useful to a great extent. That’s why so many people now choose stackable switches rather than standalone ones to maintain the efficient network operation. Stackable switches are now our star products and focal point. We would like to introduce our high quality fiber switch to every people in need of reliable network performance.